Surjit Singh, 72, of Dublin, was sentenced to 11 years and three months in prison, his son, Rajeshwar Singh, 44, of Pleasanton, was sentenced to 11 years and three months in prison on four counts of mail fraud, four counts of bank fraud, and four counts of false statements on loan and credit applications. Anita Sharma, 56, of Gilroy, was sentenced to three years and 10 months in prison on two counts of mail fraud, two counts of bank fraud, and two counts of false statements on loan and credit applications. Surjit Singh was ordered to pay a $2 million fine, $698,787 in restitution, and $847,000 in forfeiture. Raj Singh was ordered to pay a $1 million fine, $928,287 in restitution, and $838,399 in forfeiture. Anita Sharma was ordered to pay $603,180 in restitution and $30,000 in forfeiture. According to evidence produced by the FBI, in 2006 and 2007, Surjit Singh recruited individuals with good credit to act as straw buyers for residential properties owned by his family members and associates. Rajeshwar Singh, a licensed real estate agent, assisted in the scheme by submitting loan applications for the straw buyers. Anita Sharma, a dental assistant at the time, was one of the straw buyers. Because Sharma and the other straw buyers could not afford the homes based on their true incomes, the Singhs submitted fraudulent loan applications. Sharma was paid for her involvement in the scheme and Rajeshwar Singh received financial benefits through broker commissions for the transactions and as the seller of seven of the properties. He also continued to occupy the San Ramon property at a time when Anita Sharma should have been living there. Surjit Singh benefitted through payments out of escrow directed to shell companies, such as SJR Investments and BK Investments, which were associated with his daughter and significant other, whose initials are SJR and BK respectively. These payments were purportedly for contracting services, which did not occur. He also benefitted through rental payments made to him and his significant other by the renters of the homes, as the straw buyers were not living in the homes. In addition, many of his family members received money by selling properties and had money directed to them out of escrow. 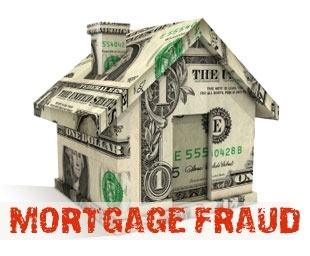 According to court documents and evidence produced at trial, the defendants were responsible for the origination of more than $9.3 million in fraudulently procured residential mortgage loans.